Krafting Kreations: Yellow Poppies Friday Mashup 76! I started off by cutting a piece of Gumball Green card stock 5-1/2” x 8-1/2” and scored it at 4-1/4”. Next I cut a piece of Whisper White card stock 3-1/2” x 4-3/4”. I cut two different pieces of Pool Party DSP 3” x 12” wide, then randomly cut triangles from both pieces until I had 6 triangles. I adhered the triangles onto the card stock starting from the middle of one of the 3-1/2” sides and worked my way around one half of the card stock. I just lined up one triangle next to another with all the narrow points toward the middle of the card stock until I made it to the middle of the other 3-1/2” side. Then I just used Paper Snips to trim the DSP even with the edge of the Whisper White card stock. Next I cut a piece of Raspberry Ripple card stock 1-1/2” x 4-3/4” and ran it through the Big Shot in the Fancy Fan embossing folder. I adhered this piece onto the bottom half of the Whisper White card stock. This covers up all the uneven triangle points nicely. I adhered this panel onto a 3-3/4” x 5” piece of Whisper White card stock. 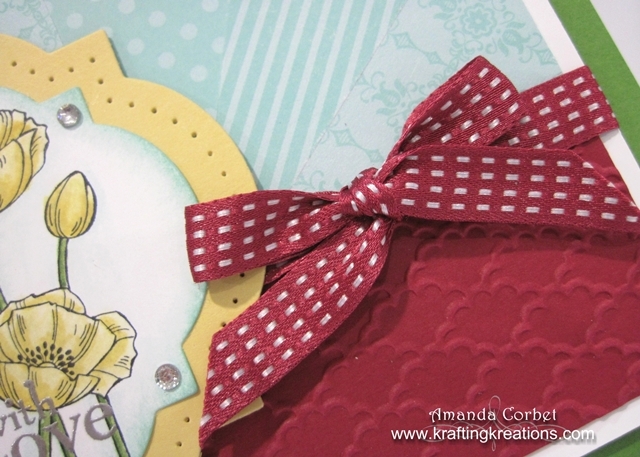 I wrapped a piece of Raspberry Ripple Stitched Satin ribbon around the panel and tied it into a bow, then adhered this panel onto the card front with Stampin’ Dimensionals. Now for the window frames! I used the wonderful new Window Frames Framelits on a scrap of Whisper White and a scrap of So Saffron card stock. I used the second and third smallest dies on this card. Then I used the Festive Paper Piercing template with my Stampin’ Pierce Mat and Paper Piercer to add the piercing around the edge of the window frame. 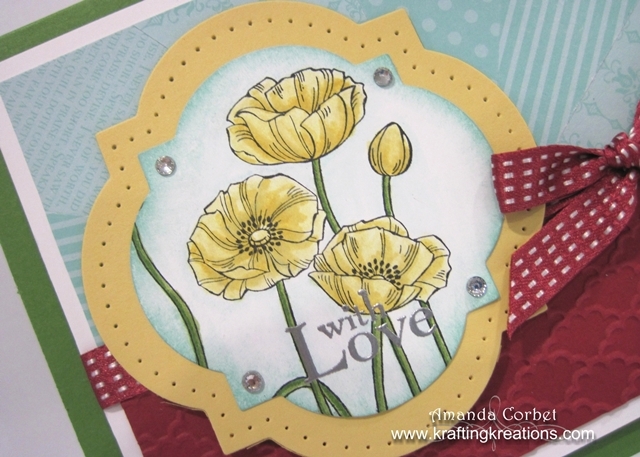 Next I stamped the flowers from Pleasant Poppies onto the Whisper White window frame in Black Stazon ink. 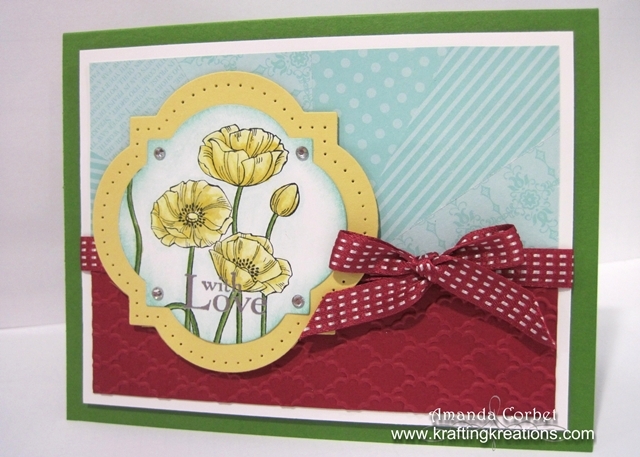 To color the flowers in I used my Daffodil Delight marker and colored directly onto a clear stamp block. Then I picked up the color with a Blender Pen to color in the flowers. I added the darker portions of the flowers by coloring directly with the Daffodil Delight marker and blending the edges with the Blender Pen again. I sponged around the edges of the card stock with Pool Party ink. For the greeting I stamped the “with Love” from Field Flowers onto the bottom of the flowers in Versamark ink, covered the stamped image with Silver embossing powder, tapped off the excess, and heated it with the Heat Tool. I adhered the flower window on top of the So Saffron window, added four Rhinestones into the corners of the label with the flowers. Then adhered this layer onto the card front with Stampin’ Dimensionals. This one definitely took a little while to put together, but it was totally worth it! Have you used the new Window Frames Framelits? 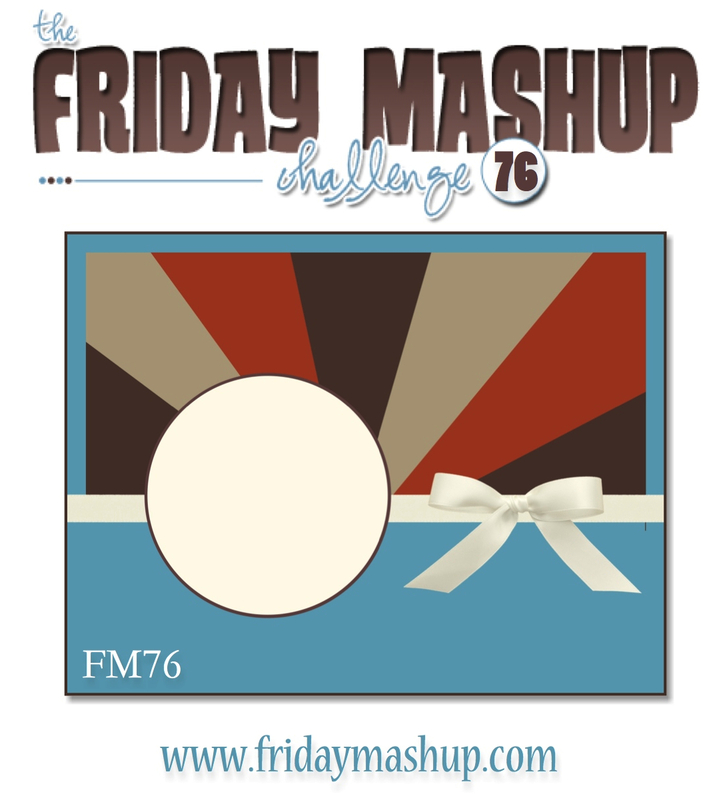 What is your favorite Framelit set?